Defining a Gemini is like studying two different sides of the same coin. Something like one body but two different personalities altogether. The two personalities can be so abrasive that one might be taken aback thinking which one to hold on to and which one to let go. Yes, we welcome you to the world of twin souls. I would describe a Gemini, with all my humility and no personal reservations using these adjectives. Yes, they are very warm and friendly once you get to know them. The very famous saying ‘The First Impression Is The Last Impression’ doesn’t really go well with them. You can never completely understand a Gemini. But, the least you can do is take time before you finally form an opinion about them. They are Genteel One Moment And Rustic the other. But for those who have their heart, they are one of those friends you can’t just afford to lose. They are the best 4 Am Friends You Can Ever Ask For. A Perfect Human Is Just An Illusion. So is our dear Gemini. But the sad part is that they think so highly of themselves and carry such a high inflated ego that it doesn’t really go well in public. This is why they are never able to build up a strong social circle. People in general never give spare chances to others and Gemini very often falls prey to this. They make it quite Tacit that they aren’t going to stay giving a very strong reason of why one should not easily fall for a Gemini. Had it been not for their egotistical outlook towards themselves, they might make up for a beautiful partner. A Gemini is so generous a spirit that they will let their siblings have the last of the cookies even though they haven’t eaten since breakfast. Yes, that’s a Gemini for you. So Soft and tender on the inside that they consider it to be a gaffe if they forget to inquire about your well being off and on. They are gentle souls with immense love for the people whom they consider family, so calling them heartless wouldn’t be a sage thing to do. They believe in charity like we believe in the power of prayers which is what lends them the prestige of being called magnanimous. Geminis are Simple, very Charming and Serene. I bet you would rarely come across a Gemini who is restless or too serious to Greet you with their gentle smile or too loud to disturb your soul. They are exactly the opposite of all of the above. They have a smile so warm to release you from all your pains, and serenity to make you feel pure. They are one of a kind with a lot of surprising intricacies about them. When you meet a Gemini you are bound to be impressed by their matriculate and crisp sense of style and manners. They are so up to date with their sense of fashion that their game is darn on point. Mannerism to die for and they will take your breath away or leave you green in envy by just being themselves. Simple is boring for a Gemini. They want innovation in almost all areas of their lives. Something that gives their walls, their doors and even their kitchen life, like never seen before. They can make their home look like an abstract art madness yet pristine and beautiful. They need a classic twist in every modern art and a modern paint on every classic piece. That is for me an innovative Gemini. That is exactly how I envision a Gemini. Also Read: Which Zodiac Signs Are Not Compatible With Gemini? and Why? Keep visiting for more and tell us in the comments below if it relates. 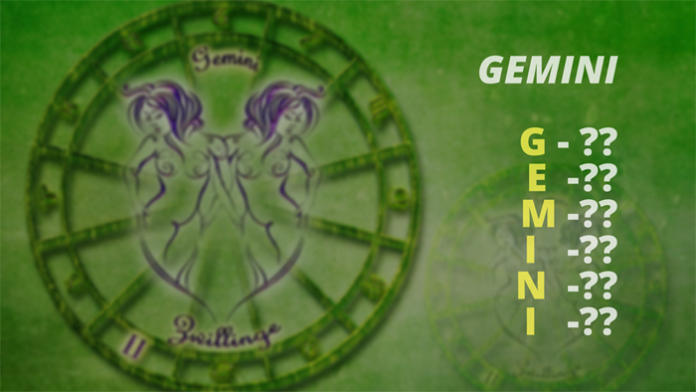 Which Zodiac Signs Are Not Compatible With Gemini? and Why?